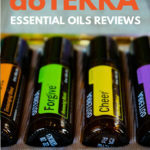 This company, the second I am reviewing for BetterMindBodySoul.com, is another top dog in the world of essential oils. Starting their mission in 2008, doTERRA is rather young compared to other essential oil companies. Yet they have quickly found their way on to the shelves of extract lovers all over the world. What are doTERRA essential oils? Like you, there was a time I didn’t know of the brand or what essential oils could do for me. If you are new to essential oils, doTERRA offers a product that could help you introduce yourself slowly. It’s the Beginner’s Trio, and it comes with three standard scents, lavender, lemon, and peppermint. The company is located in Pleasant Grove, Utah, in the United States, and the first line of doTERRA essential oils came out on April 25, 2008, with 25 singles and 10 blends. What’s Different About doTERRA Essential Oils? ​How Do They Make Them?